When it comes to Christmas presents, there are certain people I don't struggle with at all and really enjoy buying gifts for... but some I just get stumped on year on year. It has to be said, its usually the men in my life - boyfriend, dad and brother. There's only so many pairs of socks, books, booze and ties you can buy, ya know?! That's where Not On The Highstreet comes in and quite literally solves all those Christmas shopping nightmares! Two very lucky people this year will be getting something personalised in their stocking - my gorgeous little nephew and my old Pa.
First up, this gorgeous Christmas sack* by Harrow and Green - personalised with my nephew William's name in festive red print. The quality is great; a hard wearing hessian sack with plenty of room to stuff in all those toys, books and gizmos for a little lad. Now... to buy said toys, books and gizmos! I wanted to get him something he could use every year, and this is just that. He wont appreciate it this year, as he's only 20 months old, but hope in years to come he'll think of me when he sees it on Christmas morning! And secondly, something for my newly Apple-mad father. Since he got an iPhone a little while ago, and now an iPad as well as his iPod, he thinks he's super cool. 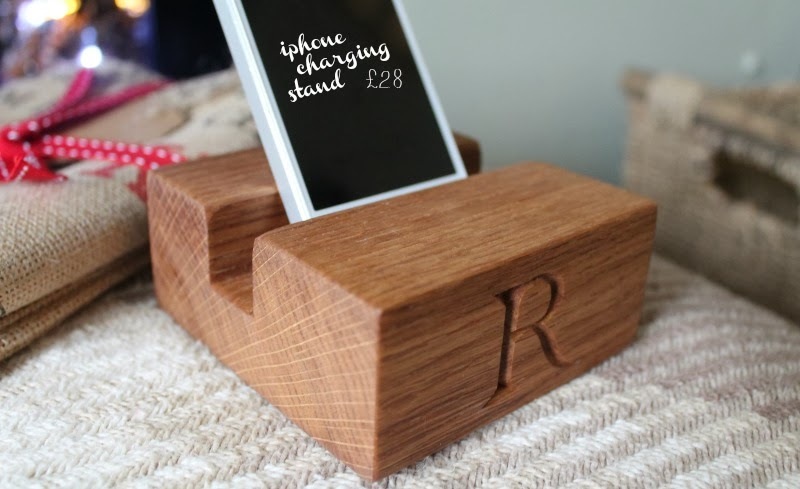 This personalised iPhone stand* is perfect for him - ready to sit on his desk at work or on his bedside table, it has space for a charger to run underneath and is suitable for most phones - not just iPhones! 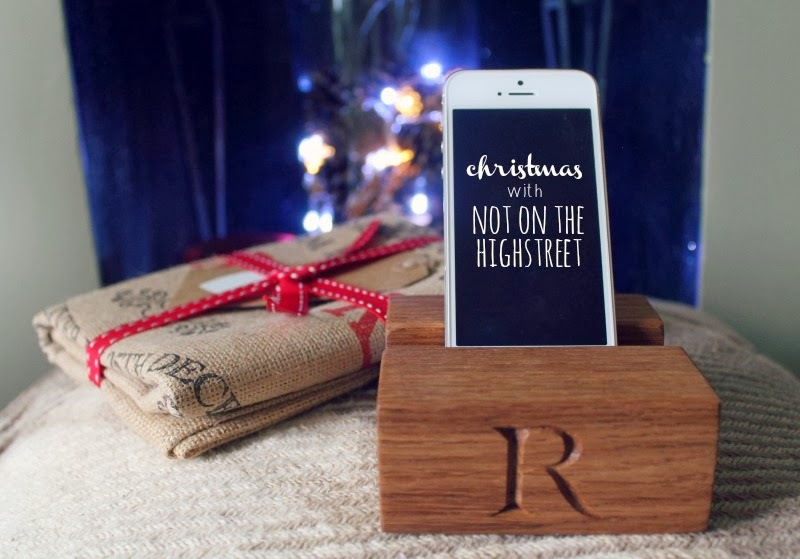 He'll love the 'R' engraved on the front; something personalised seems so much more thoughtful at Christmas. Again, great quality and stands sturdy on your desk. What are you buying for the men in your life? I love those Santa sacks- too cute :) my Dad is so hard to buy for... I've been trawling Not on The High Street for ideas! I have had a mooch on there but not purchased anything yet. They have some lovely quirky things on there which I would love to own myself!